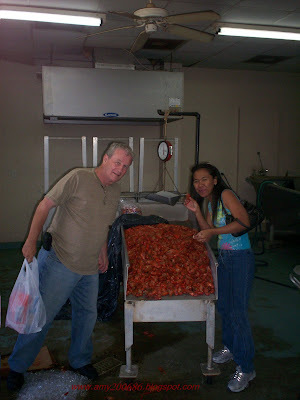 Those red ones are crawfish and this is a warehouse selling seafoods. Hubby's cousin brought us here and says,I can eat as much as I can for free. Of course, I can only eat a few...delicious but so spicy. I need a white rice too. So, we end up buying 10 lbs and give some to our friends on our way back home.